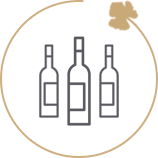 common aim of promoting their regions, wines & spirits throughout the world. 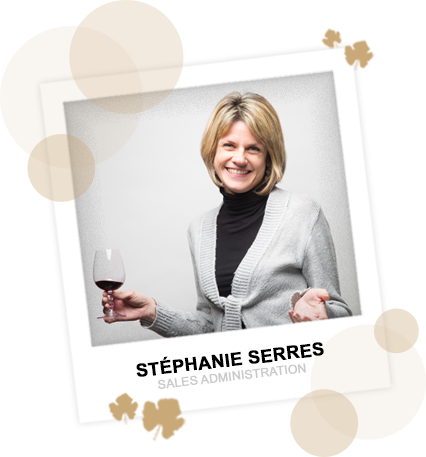 They embarked upon this ambitious enterprise in 2000, and have never looked back – their wines are to be found in over 60 countries, on every continent… and the story goes on ! Family run estates passionate, exuberant, visionary and endearing members small appellations that, because of their size, are by and large unknown to the general public. But as we know, good goods come in small parcels ! Their terroirs are a treasure to those who choose the road less travelled by (in terms of wine, of course !). Local grape varieties (Malbec, Petit Manseng, Tannat, Braucol, Baco, Muscadelle Petit Grain, Marselan, Grenache, Syrah…), and wines that show them in their best light. A taste for teamwork, good food & wine and… rugby ! To the importers we work with, our wines and spirits represent an opportunity to bring something original to their range, giving them something different to show their customers ; wines that are authentic, full of character yet elegant and accessible. 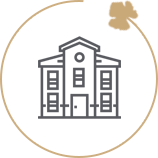 Here at Accents & Terroirs, we’re not JUST an export sales office to our partners ; we work hand in hand with them and are heavily involved in defining and implementing their commercial & marketing strategies. As with any partnership, this works both ways and our winegrowers are frequently at our side as we promote their wines. 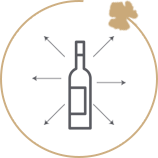 Our partners’ wines & spirits are shipped directly from each estate, in order to ensure they are stored for as long as possible in the best possible conditions. Exporting wines and spirits is what we do best. We travel throughout the world meeting importers, nurturing existing partnerships and building new ones. It’s important that we share the esteem in which we hold these men and women, their regions, their wonderful wines & spirits. 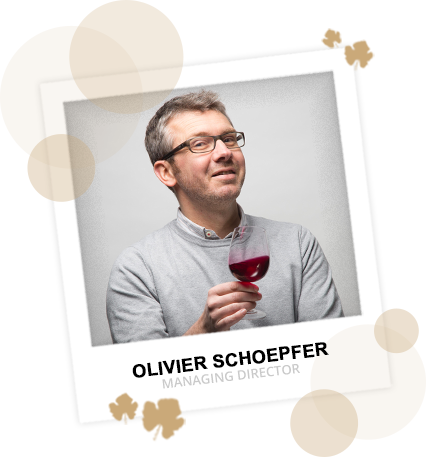 « An ambassador for Southern French wines…….from Alsace! Calm, rational and general giver of good advice. We met in Languedoc, way back before sport was just a distant memory to him! ». 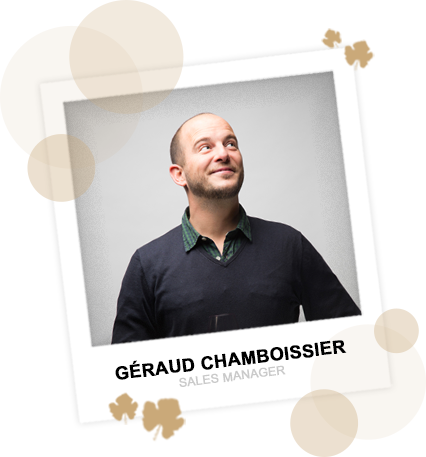 « A tad American, a little bit Asian, ever so slightly Scandinavian… that’s Olivier ! 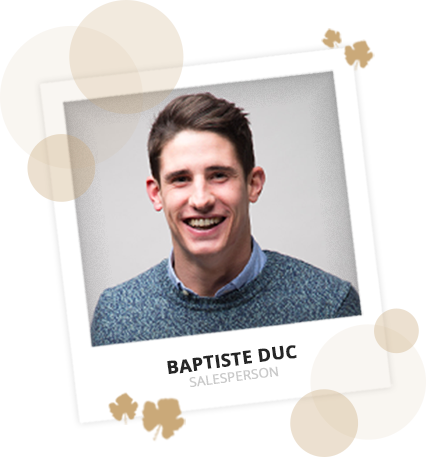 He looks after our clients in far flung countries and does an excellent job of it! ». « She’s from Ireland and I’m from South Western France, but it seems we sound the same, because people mix us up over the phone – go figure! Carol’s someone you can count on in any situation ». « I wish I was as fluent in English as she is in French. Serious, meticulous and always in a good mood, we get on well, with the added bonus that she gives me tips for my vegetable garden ». 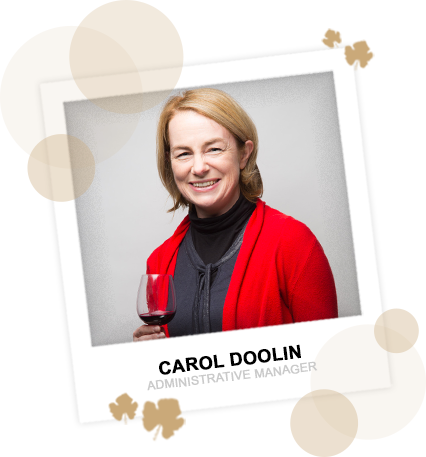 « A sort of mixture between a chartered accountant, landscape gardener and firefighter, she’s the defender of the faith and looks after all of us (winegrowers, colleagues and clients) with gentle good humour ». « THE sporty one in the team… mountain bike, surf, pala… and now gardening ! Looking forward to tasting the tomatoes from his vegetable patch. Que suerte ! ». « I met him about 15 years ago during our weekly mountain bike/oysters/Riesling meetings (don’t ask !) and have wondered ever since where his irrepressible and contagious joie de vivre comes from – buddhism or Petit Manseng for breakfast? ». « EAD, Excises, VAT, invoices… she’s on the administrative front line and aren’t we lucky! Thanks Stef ! ». Soccer lover? No way, he’s a rugbyman through and through!